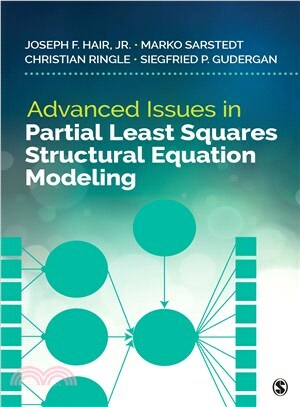 Advanced Issues in Partial Least Squares Structural Equation Modeling provides a practical and applied description of advanced issues in PLS-SEM relevant for students, professors and applied researchers. Authors Joseph F. Hair, Jr., Marko Sarstedt, Christian Ringle, Siegfried P. Gudergan combine simple explanations of complex statistical concepts with examples and case studies that readers can follow using datasets available with the book. Furthermore, instead of providing technical descriptions of the concepts with a multitude of formulae, the book will focus on the appropriate analysis of data and interpretation of outputs. Many of the examples are based on the SmartPLS software, created and maintained by the authors. The book is easy to use for both independent and guided learning, including numerous graphs, tables, illustrations, multiple downloadable datasets (provided on a companion website), exercises, and further readings. Where appropriate, supplementary analyses and data management steps are illustrated using SPSS. Other unique features include the following: This is one of first applied textbooks on advanced issues in PLS-SEM, and thus be the first mover in this space. There currently is not other book on this topic. PLS-SEM is illustrated using the same case and database throughout the book. This facilitates consistency in the issues associated with the example and enhance learning. Rules of Thumb provide guidelines to authors preparing manuscripts for publication in peer-reviewed journals. The text includes a brief review of basic concepts for the application of PLS-SEM. The advanced topics are covered in a manner that clearly demonstrates how students and researchers can apply the techniques to their research problems, and accurately interpret the results. Examples of some advanced topics include mediated moderation, unobserved heterogeneity, higher-order component models, suppressor effects, multi-group analyses, and so forth. The text will have teaching supplements such as Microsoft PowerPoint slides and an instructor's manual. The book's website will include instructions on how to apply the techniques using the popular software packages. Guidelines on what and how to interpret the findings will be included in text discussions and teaching supplements.